Secrets of Birds /Hawks Aloft Inc.
Of porcelain gold that the queen has inlaid. In 1992, I spent the summer working in Maine. 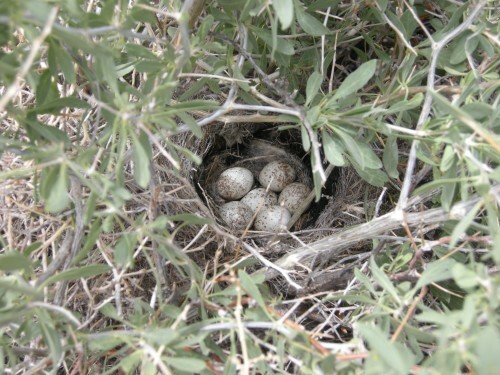 My primary responsibility was to find nests. It was my second field job and I couldn’t believe that someone was willing to pay me to wander the woods conducting, what seemed to me to be the ultimate Easter egg hunt. Twenty-some years later, the hairs still rise on the back of my neck every time I find an active nest; particularly one with eggs. The presence of eggs always shocks me out of any complacency. 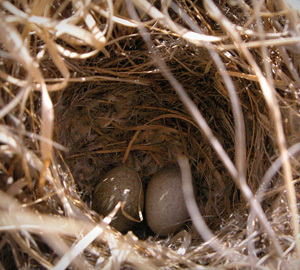 Finding a nest with eggs is akin to having someone whisper a secret into your ear. The egg is a study in contrasts. Visually, it is startling; so seemingly out of place, so different in form and texture from anything else in the neighborhood. Its stillness is legendary, acting as metaphor for the concept of the singularity, the starting point from which all heck breaks loose in the rapid and mysterious alchemy from quiet yolk to sudden flight. 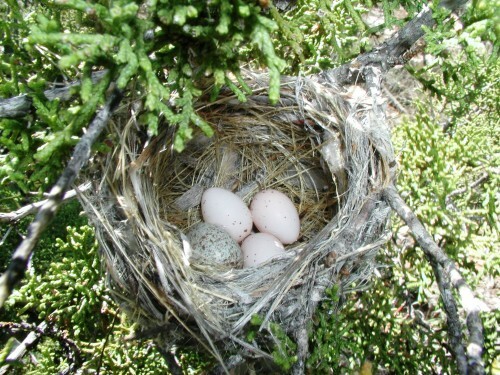 In its fragility, the external egg is perhaps most profound. Paying careful attention to every detail of care; the humidity, the temperature and the relentless turning, I have achieved, perhaps, a fifty percent hatching success rate, at best, with the chicken, duck and turkey eggs in my incubator at home. Yet, almost every egg in nature that makes it through the dangerous gauntlet of incubation hatches. It’s testament to durability; the fragility of the egg in contrast to the resilience of life. Here at Hawks Aloft, the “field season” can be stressful; miles and miles on the road, long periods away from home, living out of a truck, and eating out of a can. But the field season is, for me, what it’s all about. When the engine is finally cut and the echoes of the city die, when the crucible of nature is the only culture remaining in my mind and my eyes and ears are free at last, I am at peace. It’s a rarity in our harried world to enter into the life of birds, to find a nest and to gaze upon a perfectly speckled egg. So three cheers for the field season, but not too loud, the birds are secretive and they are speaking in whispers.